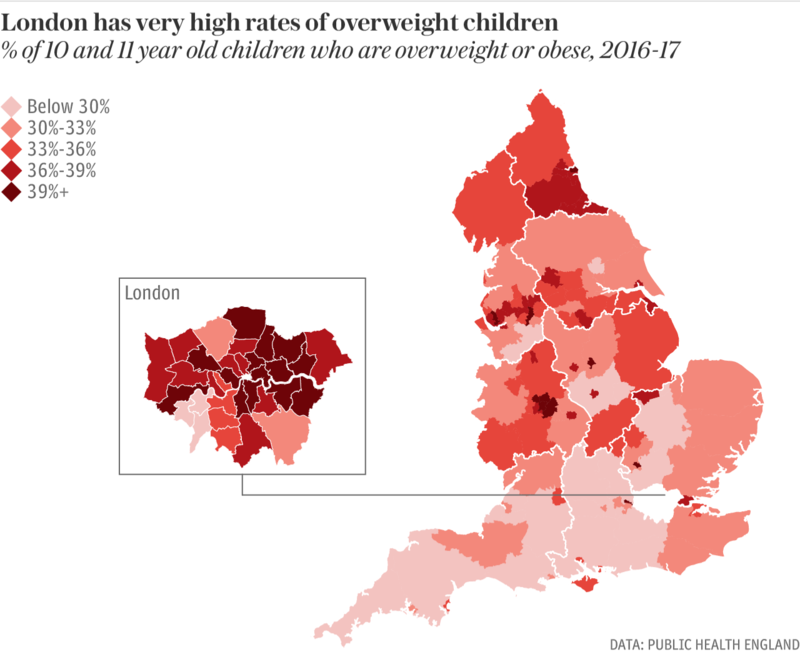 Nearly half of children are perilously overweight in some parts of Britain, according to the first ever map tracking the waistlines of primary school pupils. The research by Public Health England shows that children with the most and least healthy lifestyles are living cheek by jowl, with just five miles between the areas with the best and worst record. 44 per cent of 11 year olds in the London borough of Brent weigh too much. Other areas with the highest levels of excess weight include the London borough of Barking and Dagenham, Wolverhampton and Sandwell in the West Midlands, and the London borough of Westminster. The data shows clear links between levels of deprivation and obesity. In the poorest areas, children are almost four times as likely to be classed as severely obese, the data shows. The royal college is calling for curbs on advertising of unhealthy foods before the watershed on television, and action to limit the number of fast food outlets opening near schools. Earlier this week, it warned that four fifths of obese children could expect to remain obese as adults, cutting overall life expectancy by up to 10 years, and “healthy life expectancy” by as much as two decades, with later lives likely to be spent battling diabetes and heart problems. The findings, which come from surveys of primary school pupils, show that overall, 32.4 per cent of children are overweight or obese by the age of 11 – a rise from 30 per cent in 2006/7. 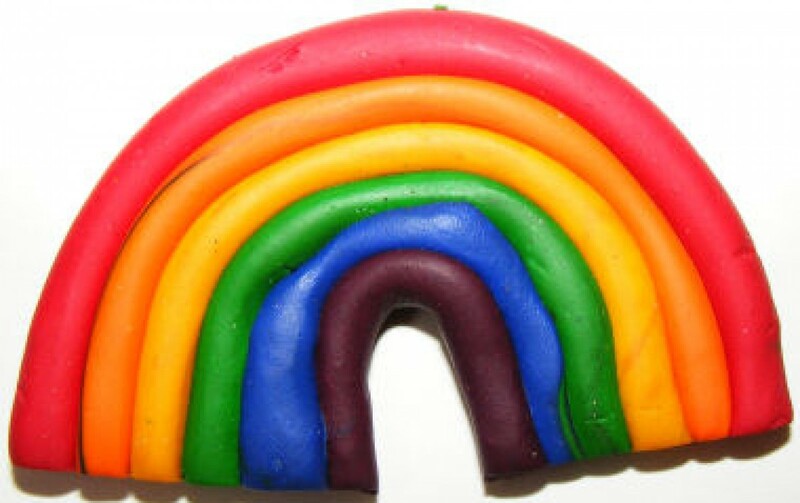 The figures are worst for boys, with 36 per cent classed in these categories – a rise from 33.2 per cent a decade ago. The statistics also show boys are most likely to be classed as “severely obese” – with almost 5 per cent of boys reaching this point by the end of primary school, compared with 3.3 per cent of girls. The report also shows significant variation between ethnic groups, with more than 9 per cent of Black Caribbean children classed as severely obese, compared with 3.4 per cent of White British children. Tam Fry, from the National Obesity Forum, called for an end to “buy one get one free” deals on junk foods, chocolates and fizzy drinks, limits on junk food outlets, and an end to advertising of unhealthy foods during family viewing. Once again, the elephant in the room is the government- and industry-sanctioned and promoted Western diet. The poorest and least well-educated are likely to select the easiest and cheapest options to put on their plates. But until there is a widespread understanding of how the SAD (Stand American Diet – highly animal-based, processed, fatty, sugary foods) is slowly killing us, one would expect the obesity figures to continue rising. The first generation that will die younger than their parents? Next Next post: Alkaline Diet – So What? !